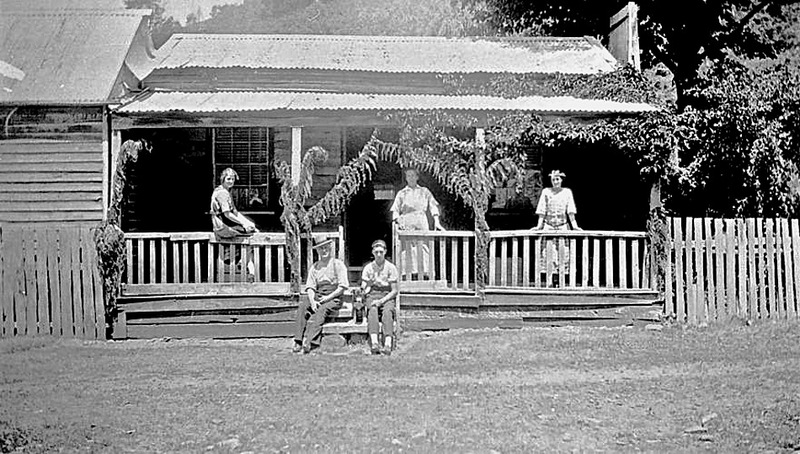 Rae family home with fern fronds as Christmas decorations, Jericho, Victoria, Australia, ca. 1918, via Museums Victoria Collection. Jericho was a gold mining town, established in the 1860s. The local tree ferns resembling palm trees were said to remind early settlers of the biblical Jericho. By 1918, the old settlement was well into a decline, and its last buildings were destroyed by a bush fire in 1939. OOH, ferns for Christmas! What a lovely concept.